11.25"x12.75"x6.19" 11.25” x 12.75” x 6.19” 11.25"x12.75"x6.19"
Scott Pro provides state of the art solutions to maximize productivity. 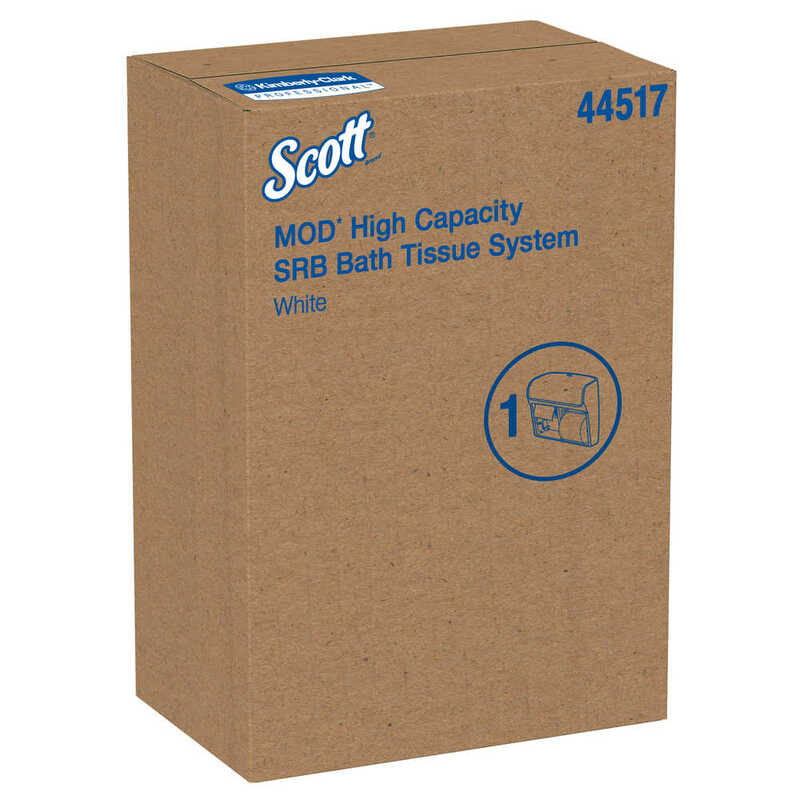 The Scott Pro MOD 4 Roll Toilet Paper Dispenser is made of durable plastic and holds four tissue rolls in a side-by-side configuration. Designed with the contemporary, stylish MOD Profile, it delivers an exceptional experience and provides consumption control (waste reduction). 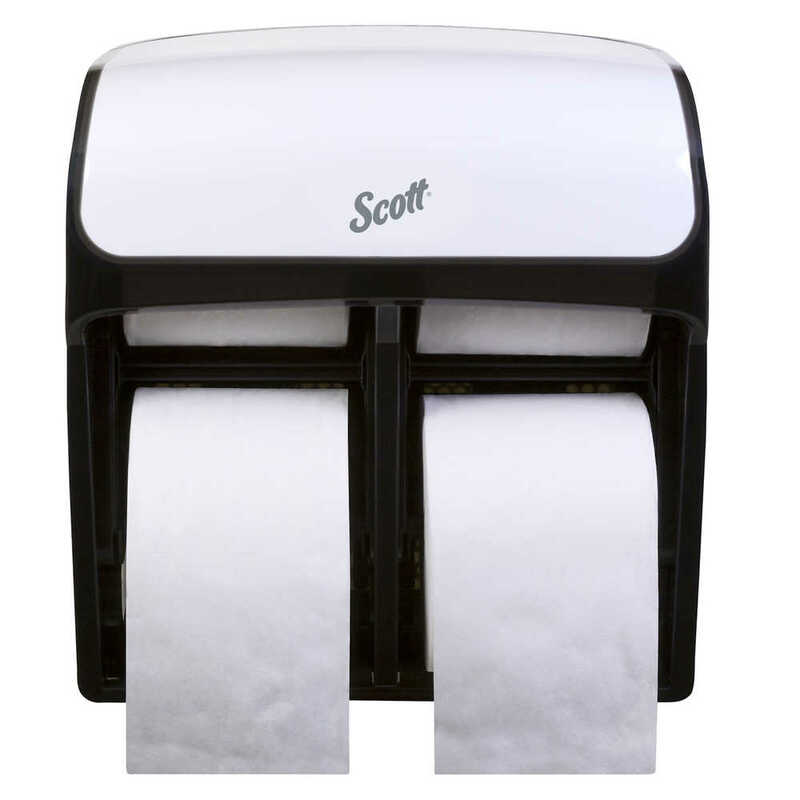 The dispenser is manually operated and opens using either the keyless push button option or the included key. The rolls are placed on two tissue roll holders (known as H mandrels), designed for coreless or small core toilet paper. The rolls are placed on each end of the H mandrel and with the door closed, the four rolls are visible in the dispenser. 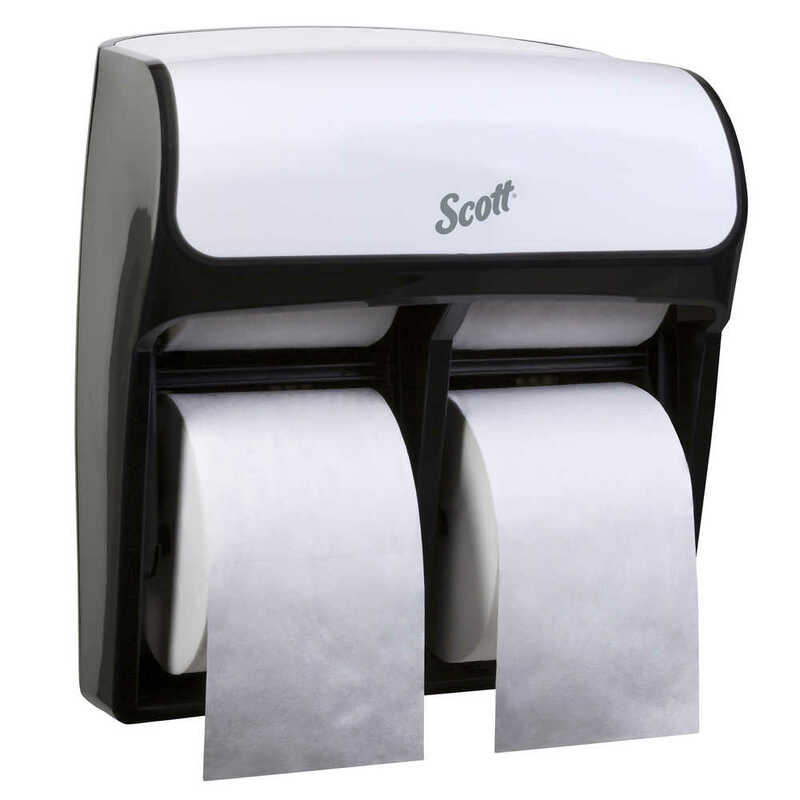 They are easily accessible through the front with no need to open the dispenser to access another roll. When properly installed and when using recommended product, the dispenser meets the ADA Standards for Accessible Design.